The impression your visitor will have of you when they step into your house largely depends on what meets their eye. 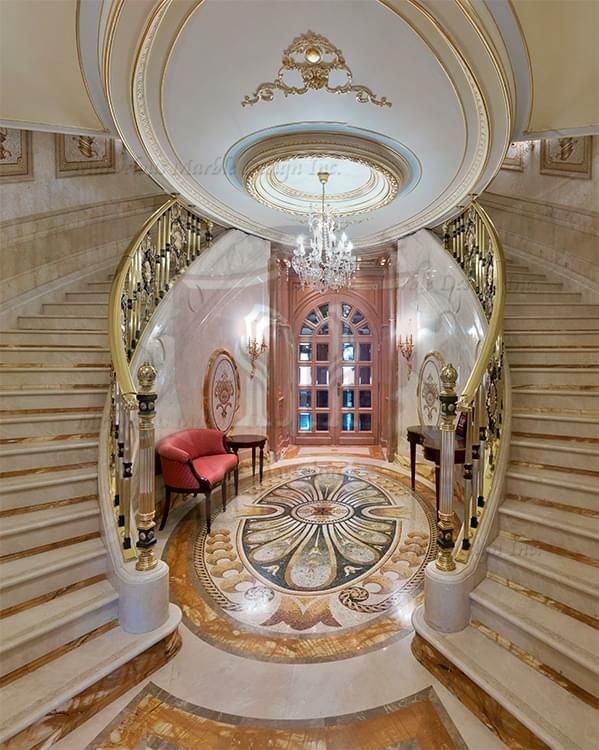 A well kept foyer is therefore an integral part of your house irrespective of how old it is. As you contemplate redesigning your foyer, consider using an oval marble mosaic design as it has the power to transform a rather empty entrance into an elegant foyer that everyone will admire. 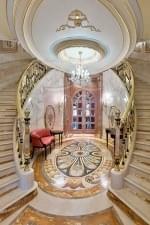 Nothing else can give your house a makeover than an authentic oval marble mosaic on foyer. It presents a mixture of bright and neutral colors carefully put together to create special patterns that represent the past, present and future. Just like other homeowners, you dream of creating a unique interior design that will last through the ages. It is not economically prudent to keep changing your interior decorations, especially the floor, even now and then. The good news is that you now have a special floor design to decorate your foyer and ensure it remains stylish and elegant for many years into the future. With the perfect combination of unique colors, marble stones and ageless patterns, the oval marble mosaic floor design presents a timeless interior style that will save you money and time. This design has been created to match a wide range of designs, some of which are yet to be discovered. The golden brown and yellow shades will compliment your indoor lighting to create a touch of class, elegance and value. These colors are known to symbolize wealth and abundance. Therefore, your oval marble mosaic floor design will help you to make a statement to whoever visits your house. It is a simple and effective way to transform your home into a luxurious king’s palace. Your guests need to know that you have a taste for the good things in life. Besides, who wouldn’t appreciate a touch of gold in their house? If your foyer seems strangely spacious, you need to decorate it with a marble floor design with a mixture of warm colors. It helps you to fill up extra space creating an illusion of abundance. You can also make your tall foyer space look cozier with this floor design. Many homeowners are installing this kind of piece of art in their homes with the aim of making a grand entrance. 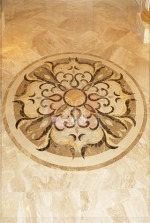 With an oval marble mosaic on your foyer design, visitors to your house will have no reason to notice your ceiling. It will keep their eyes glued to the floor.